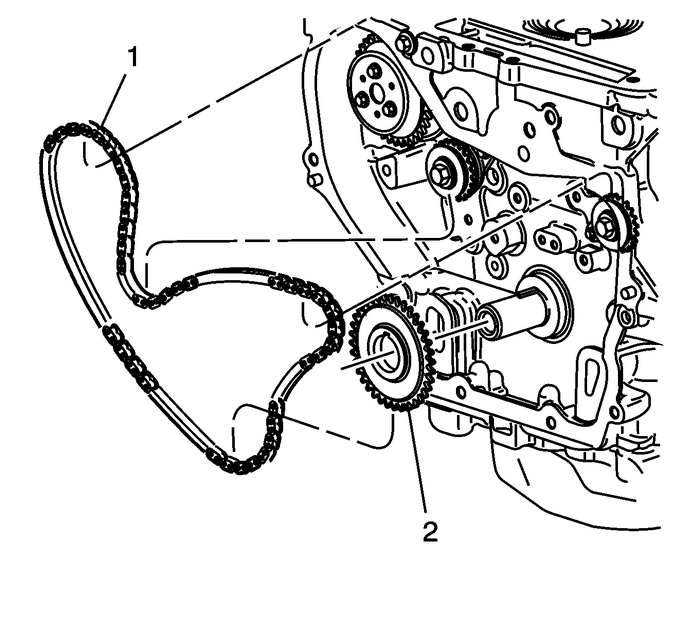 Remove the balance shaft drive chain tensioner bolts.Remove the balance shaft drive chaintensioner-(1). 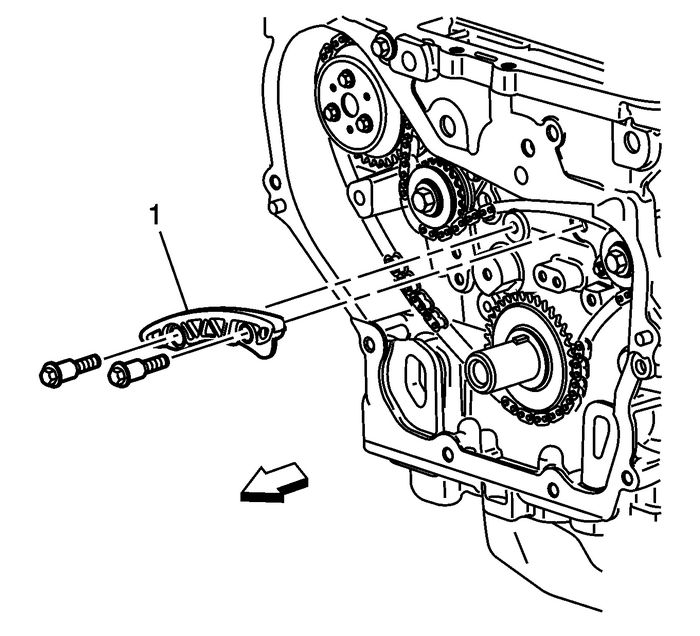 Remove the adjustable balance shaft chain guide bolt.Remove the adjustable balance shaft chainguide-(1). 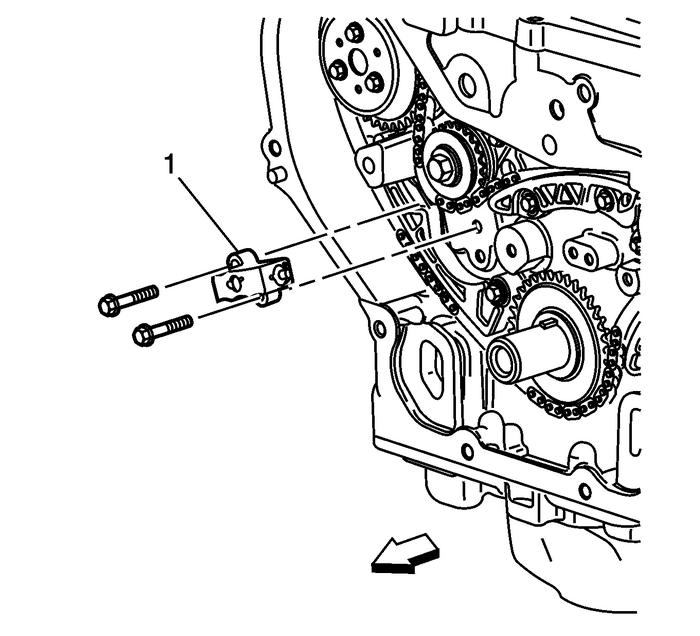 Remove the small balance shaft drive chain guidebolts.Remove the small balance shaft drive chainguide-(1). Remove the upper balance shaft drive chain guidebolts.Remove the upper balance shaft drive chainguide-(1). 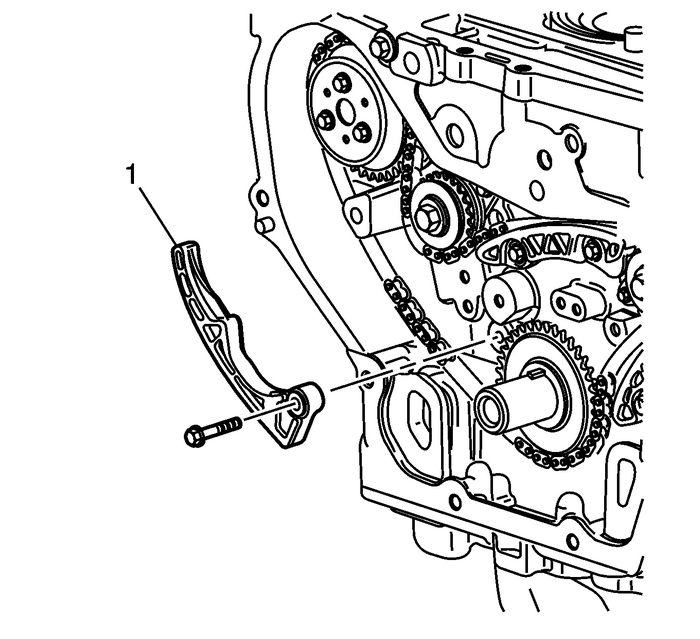 Note:It may ease removal of the balance shaft drive chain to getall of the slack in the chain between the crankshaft and water pumpsprockets. 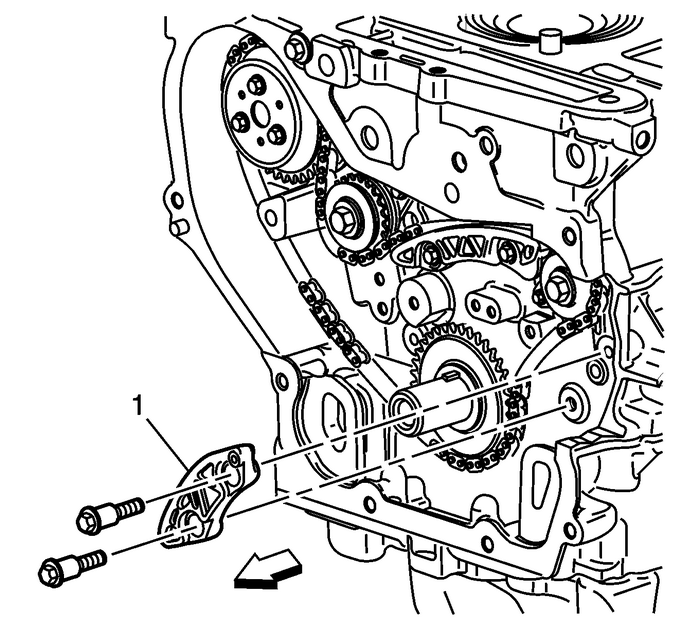 Remove the balance shaft drive chain-(1).Remove the balance shaft drivesprocket-(2).